In his Gospel, Matthew sets out the success of Jesus’ ministry (ch.5–9). He summarizes, ‘Jesus went through all the towns and villages, teaching in their synagogues, proclaiming the good news of the kingdom and healing every disease and illness’ (9:35). In word and action Jesus ushered in the kingdom of God. Jesus lovingly pursued bringing the reality of God’s rule and presence into the lives of those around him. What do you pursue? Some people desire fitness while others focus on art. Some seek justice while others long for mercy. No matter what it is, one thing is certain. Your pursuits reveal what you love. Here is another way to look at it. What are you known for? If I ask a dozen of your closest friends and family to tell me about you, what would they say? Would they say you are driven, creative, kind, hospitable, funny, or intelligent? Would they describe you based on your talents or your character? Your pursuits reveal what you love. What you love reveals who you are. Here’s where this gets hard to swallow. The life of a follower of Christ should be characterized by the singular pursuit of God through Jesus Christ our Savior and Lord. If you pursue anything other than knowing God and showing Jesus, your pursuit is empty, dead, and void of God’s redemptive power. If you love anything above God your love is tainted and reveals sin’s command of your life. Let’s take it one step further. Your pursuits reveal what you love. What you love reveals who you are. Who you are is your greatest influencer. Your influence will point people to God or away from God. The world is held together through relationships. The strength of money, infrastructure, social media, government, military, pop-culture, and art do not compare to the strength found in a trusting relationship. When relationships are fractured the very fabric of society is ripped apart. I believe the church was formed through a singular pursuit of loving Jesus. This love revealed who they were, Children of the Living God. Then Christ in and through them influenced people, families, communities and regions with His transforming power. And the church grew. The sad thing is that in just a few short years the Church was no longer singularly focused. Tradition, politics, culture, and self advancement crept in. Paul’s corrective letters in the New Testament primarily pointed people back to the influence of Christ rather than the influence of the world. Some things haven’t changed. The Church today must fight against the influence of tradition, politics, culture, and self advancement. It must run to Jesus and allow His influence to influence others. Lets take a look at how Paul challenged The Church in Colossae to pursue Jesus, love Jesus, and allow Jesus to influence others through them. The Church of Collossae had a choice. Continue to be influenced by Gnostic thought, secularism, and tradition or abandon it all and follow Jesus. The only way the Church would survive is if Christ followers decided to allow Jesus Christ in and through them to influence the spiritual health of others in the Church. This is a Historical truth that has timeless implications for every local church. It’s time we ask ourselves a hard question. How are you and the church influencing the spiritual health of others? God may be revealing specifics to you even now. That’s great. Along with those specifics, Paul’s encouragement in Collisions 3:12-17 can help undergird our efforts to influence the spiritual health of others. Let’s take a look at the actions found in this section of scripture. Meditate on these truths and ask yourself how you are expressing this character, and if you are not. What must you do to align with scripture’s truths? Put on heartfelt compassion kindness, humility gentleness, and patience. Let the peace of the Messiah control your hearts. Let the Messiah’s message dwell among you. Teach and admonish one another in all wisdom. Sing with gratitude in your hearts. Do everything in the name of the Lord Jesus. The church’s actions corporately and personally will align with Colossians when they pursue Jesus, love Jesus, and allow Jesus to influence others through them. When was the last time you were overwhelmed? In the Old Testament we see time and time again that God’s greatness was revealed after His people were overwhelmed by the God of Abraham, Isaac, and Jacob. God’s stubborn love and longing to draw them close and bless them with His favor was overwhelming. They worshiped, making much of God, and God healed their land. In the New Testament we see God’s greatness revealed in and through Jesus Christ. When people opened their eyes and ears to receive forgiveness of sin they were overwhelmed. Jesus captivated their heart, mind, and soul and never let go. His followers worshiped, making much of God, and God healed their lives. God’s people from every era and generation worship God when they recognize the true greatness of God and are overwhelmed by His love. Imagine a love so great it overwhelms you. It captivates your heart, mind, and soul. It may encourage some to become strangely still; even quiet, others fall to their knees tears flowing, many stand in awe, and a few may leap with joy. It may happen in crowds of people, alone, or in the most unexpected ways and places. Is this what worship looks like? Is this what happens when you comes face to face with the transforming truth of God’s love and redeeming power? God wants to overwhelm you with His love. He is only limited by your willingness to worship Him. The original intent of this verse was for God to establish a works based relationship with his people. Their works were based on their humility toward God, focus on God’s instructions, and repentance of things that opposed God. The application is timeless, God longs to have a people that expressed their devotion to him through a life surrendered to God, desperately wanting to honor God through obedience, and daily trusting Jesus for life direction. God may not heal our land but he has and always will seek to heal lives that are overwhelmed by God. That state of mind will prompt people to humble themselves, seek Him, and repent of wickedness. When was the last time you humbled yourself, sought his face, and repented of wickedness? Worship is not the song we sing, the sacrifice we make, how well we represent God on social media, raising a good family, or representing our church well. All these things are good but in and of themselves are not worship. Worship is humble adoration, communion with God, seeking God with our whole body, and turning from sin while running to God. Worship elevates God and takes us off the paying field. Humility becomes a reality for those that have come to grips with their limitations and look forward to God’s Influence. Humility begins with perspective. The humble will say, “I am nothing, but God is everything.” Their life will be one example after another of making much of God. How is God becoming the influencer of everything you say and do? Prayer transforms a person when they believe God hears, cares, and longs to meet their heart’s cry. Prayer is the most intimate act of trust. It helps a person recognize that God is present with them through the good and bad. The more we pray the more we are centered on God rather that the circumstances of life. Prayer gives the intangible substance. How is your heart’s cry met through your relationship with God? When a person seeks His face they are intentionally loosing track of the things that distract, corrupt, and rob them from knowing God. The purpose of life is found in knowing God. The Bible promises that those that seek him will find him. It doesn’t mean they wont find despair, fear, anger, and uncertainty along the way, but it promises they will find God. How is seeking His face giving you strength for each new day? Turning from wickedness takes recognizing sin has corrupt even the best, purest thoughts a person has apart from the enlightenment of the Father. Wickedness is pervasive. There is no escape apart from God’s forgiveness through Jesus’ life, death, and resurrection. Sin has no dominion over Jesus. If a person is covered by Jesus’ love and sacrifice, sin has no dominion over them. Wickedness is a fading memory of a past reality. Worshiping God in his greatness becomes our clear reality. How is wickedness fading and worship growing in you? I recently asked my friends on Facebook and Twitter this question. Other than God, what things do you find yourself drawn to worship? Here are some of their responses. Music…listening to it and making it. Tone, melody, instrumentation, vocals…all things that drew me to music to begin with. My house, I too often worry and stress over making it perfectly organized and clean. Screaming guitar shredding and R&B background singers. Anything that I’m willing to defend. Before Isaiah saw God his answer to my question would be similar to ours. Contextually appropriate, but the same. When He saw God… all of God… the love of God… he was overwhelmed. His response, his next step, was a life of devoted worship. Imagine a love so great it overwhelms you. It captivates your heart, mind, and soul. Now stop imagining it. Humble yourself, pray, seek His face, and turn from wickedness…say here I am…send me! Worship God. How are you and the church drawing closer to God through worship? A lot has happened at Albuquerque’s First Baptist Church over the past year. God continues to bless our church community in great ways. As we close out the year, we’ve pulled together our top five blog post from 2016. When was the last time you walked four miles to collect one pail of water for your family? My answer would have to be never. 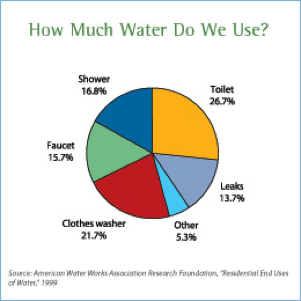 The average American family of four uses 400 gallons of water per day. Approximately 70 percent of that water is used indoors; with the bathroom being the largest consumer (a toilet alone can use 27 percent!). Not everyone is as fortunate. In Malawi it is not uncommon for people to walk as much as nine miles for one pail of water. One pail of water, perhaps five gallons, for an entire family. With a population of 17 million people Malawi is among the smallest countries in Africa. It is also one of the least developed and poorest. Malawi is known as the warm heart of Africa and despite signs of economic development many challenges remain – in rural areas as few as two in ten people have access to a toilet. While water sources are fairly numerous in Malawi, much of the population lives without access to a safe and protected water source. Malawi suffers frequent droughts and floods. The last several years have been extremely difficult for the Malawians. In an economy that is heavily dependent on the agricultural sector, it is crucial to understand the implications of these extreme climate events. About 2.8 million Malawians face food insecurity, making the country one of the worst hit in southern African drought. Many people in Malawi live in rural areas where extreme weather, rapid population growth and pollution have made farming difficult. A reliable safe water supply is essential to grow enough food to eat. Although official figures show Malawi to have 90% water supply coverage, the number of people with reliable access is far lower. Many hand pumps are broken, leaving no choice but to go back to unsafe water sources. Almost 90 percent of child deaths from diarrheal diseases are directly linked to contaminated water, lack of sanitation, or inadequate hygiene. So here we are in Albuquerque, New Mexico. Can we make a difference? The answer is a resounding yes. First, we can pray. Here’s a recent prayer request from a missionary our team met on their trip in May. As you can hear in her words this is a request from her heart. Can you please join me in praying for the nation of Malawi….? We need rain. Not too much and not too little, but God knows what we need. We only get 2-4 hours of electricity every 48 hours. It normally turns on between 11:00 p.m. and 4:00 a.m. while people are sleeping. Water is only turned on for 30 minutes three days a week. This normally happens about 5:00 a.m.
With limited electricity we are unable to pump water from one tank to the other. We are currently out of running water. We are still blessed with one water tank so we can collect water using buckets. The lack of electricity means no maize mill…. no maize mill…. no ufa…. no ufa… no nsima…. This is the staple food for Malawians. No water requires people to wait in long lines at boreholes. Sometimes taking all day. Walking long distances in the middle of the night to return with one pail of water. Amidst this entire crisis God continues to provide for His children, but please let’s come together and let’s pray for Malawi. On Sunday, October 23rd AFBC will hold its annual Night of Worship followed by our Chili Cook-Off. During the Chili Cook-Off you will have the opportunity to vote for your favorite chili using “change.” That’s right your coins, pennies, nickels, dimes and quarters can make a difference for the people of Malawi. 100% of the money collected on Sunday will go to the Malawi Mission Project, which includes digging and maintenance of a new well in Malawi. To us it may be pocket change but what a huge difference those coins can make in the lives of our brothers and sisters in Malawi. We invite you to join with us as we pray for this team and how God will use them to change the world! I have read this verse hundreds of times. However, this time something captivated my attention. I was drawn to the latter section of the text. Luke records these words for us “and he will be filled with the Holy Spirit even before he is born.” Luke is making us aware; John will live an extraordinary life. John will live a life set apart for the purpose of God’s will. Before time even began, God knew the very intimate details of John’s life, and God knew how John would “go before” for Christ. He knew John would “bring back” many people to the Lord. John was set apart to “make ready” for people. When I consider my responsibilities in God’s Kingdom, I feel compelled to consider many of the phrases Luke used in this text. Is it possible God could be using each of us to “bring back” people to God? If so, what action can we take today to reach others? What an incredible advantage John had being filled with the Spirit before birth. For many of us, it has taken a lifetime to even begin to understand even an elementary concept of God’s will for our lives. 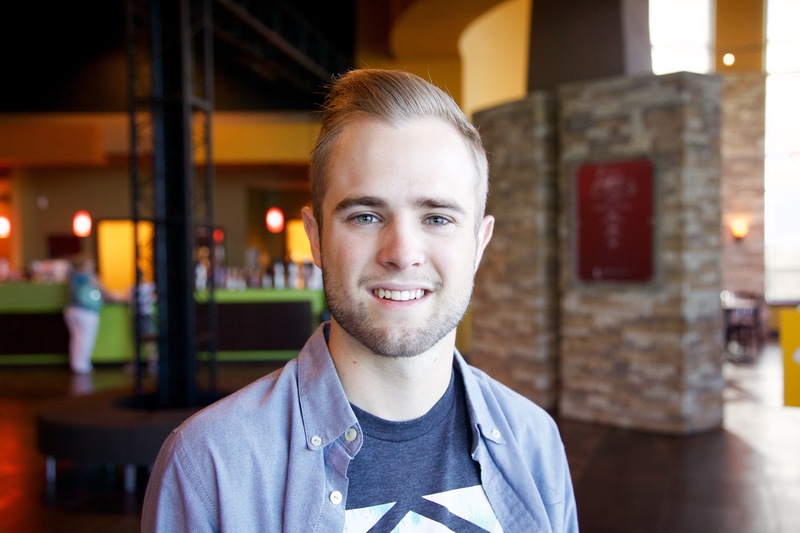 John came out the womb ready for service, and he lived a life set apart for service. How will you respond to God’s call to service today? Are you willing to go out of your way to “bring back” the lost to God? As you consider these questions, I pray that God will ignite a feeling within your soul to reach the lost. Learn more about NT8 at AFBC here. It’s a great week at Albuquerque’s First Baptist Church as we welcome new staff members Matt Snook and Ty Hageuwood. Matt joins us from Washington, Oklahoma. He served as Music Minister at First Baptist Church in Washington also nurturing young lives as a track coach and elementary music teacher. Matt has a bachelor’s degree in Church Music from Oklahoma Baptist University and cheers for the Oklahoma City Thunder. Happy to return to mountain views and yummy food, Ty is no stranger to AFBC. He accepted Christ during his sophomore year of high school when he was a part of our student ministry. Now he’s back and ready to lead our students in their walk with Christ. I believe that when Christ saves us we are no longer the same. This calls us to passionately pursue Him through evangelism, discipleship and service. Once you’ve seen the Lord, you are obsessed with what you’ve seen. 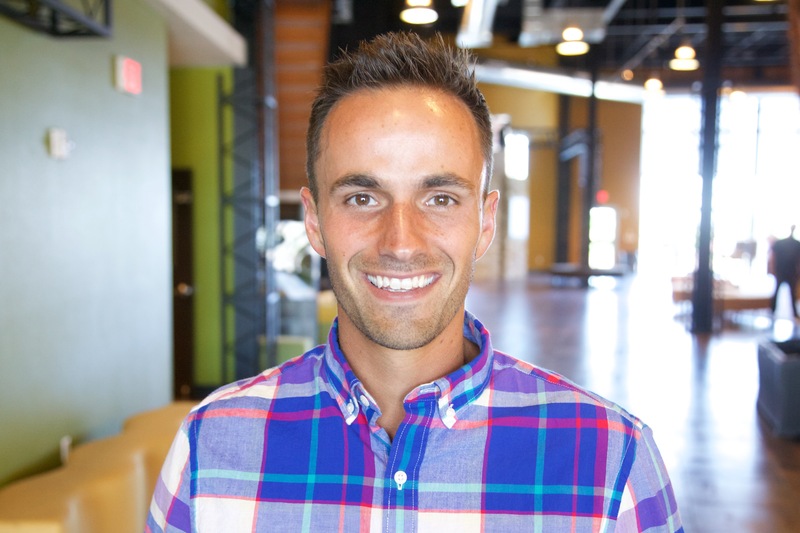 Ty previously served as Student Pastor at First Baptist Church in Calhoun City, Mississippi. Currently pursuing his bachelor’s degree, Ty is a New York Yankees fan who enjoys hip-hop music, watching movies and eating Dion’s pizza. Please help us welcome them (in the comments). We can’t wait to see how God uses Matt and Ty to impact lives. For we are co-workers in God’s service; you are God’s field, God’s building. By the grace God has given me, I laid a foundation as a wise builder, and someone else is building on it. But each one should build with care. Will There Be A Next Time For Brian? Weary and worn was the feeling from the top of my head to the tip of my toes as Parents’ Night ended Vacation Bible School. I anticipated the wonderful feeling of my bed after a long, busy day. Though I closed my eyes, sleep did not come. The faces of forty boys and girls in my department danced in the visions of my mind. One little boy whose name was Brian stood out among all the rest. It was as though he had stepped from the pages of a book instead of off a church bus. He was not a handsome boy. He was from the wrong side of the tracks and his hair dirty and uncombed; his fingernails were grimy. His clothes didn’t fit and needed to go through the wash.
Only five years old and already a smirk on his face, he didn’t know how to share. His main objective seemed to be destruction. He hit, kicked and clawed his way through a week of Bible School. There was no hope for calm with Brian around. As Friday noon came, so did my sigh of relief – It’s over! Home for a few hours and then back again for Parents’ Night. But where were the parents? Busloads of kids poured in but only a handful of parents. Brian came in, his usual robust self. After we marched (prodded) to the auditorium, I found myself seated next to this defensive little boy. He squirmed, wiggled and asked who is that man (the pastor), why are they taking money, why this and why that. Brian pulled a Bible from the rack and thumbed through it upside down. He said, “Is this God’s book?” I said, “Yes” and whispered “I love you.” He grinned and asked, “Can I sit in your lap?” The love I felt in my heart for that little boy must be a glimpse of the love our Heavenly Father has for us. Vacation Bible School was Brian’s first experience in our church. Will there be a next time for Brian? With a lot of strikes already against him in life, will there ever be a next time for Brian? The misplaced lock only costs a few cents. And without the combination it will be useless to anyone. Is Christ-like love the right combination to Brian’s heart? It is my hope and prayer that it is. Fast forward forty years. This week we had over 200 children attend Vacation Bible School at our church. Children came from all over the city. Times have changed and now we have Vacation Bible School in the evening. The church bus is no more. Instead, Nate Bruch drove one of our vans from nearby Seville Park. Like Brian, the kids were loud and rowdy. They ran. They screamed. They came from all kinds of backgrounds and some had never set foot inside a church before. But like Brian they all came looking for one thing, love and acceptance. And they found it. They found it in the hearts of their group leaders and the many other adults who gave their time volunteering this week. They found it in the Bible stories that were shared. They found it in Pastor Trey and Ms. Kristi. They found it in the Rice Krispie sushi and Lottie Moon cookies. But most of all they found it in Jesus Christ. Thanks to Ms. Betty Danielson for providing the Journal article.